Resources | lights cancer action! I made the mistake of scheduling two doctors’ appointments on the same day. It happened because I had to go back for a follow up with my gynecologist for the lichen schlerosus. I scheduled that for after work, but didn’t realize at the time that I also had a mid-day appointment with my oncologist. I figured it would all be fine, although my oncologist is notoriously (and ridiculously) late every appointment. As it turns out, both doctors were really behind schedule and I spent 3 hours and 20 minutes just sitting — either in a waiting room or the exam room. Both appointments, I am happy to say, went well. First, my labs, tumor markers, vitals and physical exam were all perfect. Second, although they were ready to do a biopsy, with all equipment neatly laid out in the exam room, my lichen schlerosus has really cleared up (almost gone). I credit the frankincense, as I saw more improvements when I started using that than I did with the steroid cream. In other news, I am very excited (truly!) to start using estriol cream. Since the lichen sclerosus seems to be connected with low hormone levels, I was checking with my dear friend, Dr. Lisa, from Nowhere to Run. She indicated that she was using the estriol cream and recommended it for me. I checked with a local doctor who specializes in treating hormone imbalances and he recommended it, saying it was low risk compared to taking other estrogens. My naturalist thought it was a great idea also. I checked with my oncologist and, surprisingly, she said she thought it would be just fine to use. (I fully expected a “no” on this one, so it gave me a lot of comfort on the safety side when she said yes.) My gynecologist was open to gathering more information, which he did, and today his office called to say my Rx was called in. To give you a little background, estriol is highly recommended by Suzanne Somers (she swears by it in terms of safety, health restoration, and vitality). One of her doctors, Jonathan Wright, has done a lot of work and research on estriol. It is the weakest of the three estrogens and was previously thought to be of no use to the medical community. They are finding, however, that “it’s weakness is it’s strength” in that you get the benefits of an estrogen (relief of menopausal symptoms, improvements in vaginal dryness/atrophy, cardio health, bone density improvements, etc. ), without the increased risk of hormone-dependent cancers. It’s even been linked to improvements with MS. Check out the above link for more information, if you are interested. I’m so excited to be off work tomorrow so I can drive to the compounding center to pick up my estriol! My naturalist often talks to me about xenoestrogens. I understood these to be “fake” estrogens that mimic the real estrogen that your body makes. Much of the xenoestrogen that your body picks up is from processed and hormone-laden foods, as well as from the environment. I found this list of xenoestrogens to avoid. It’s one of the most comprehensive lists I have seen and it’s probably impossible to avoid these things 100%. In fact, I’m not sure I agree with everything on the list. However, there are many easy steps you can take to minimize your exposure, like switch from plastic to glass storage containers, never microwave food in plastic, use quality / natural cosmetics, soaps, etc. Don’t use chemical air fresheners. Look for quality, organic, healthy alternatives for anything that goes on your skin. It’s really important to reduce your exposure as much as possible. I do my best and when I learn something new, I try to implement. For example, I read an article a few weeks ago about Tide laundry detergent and all the bad chemicals in it (and most laundry detergents). It never really occurred to me to look at what’s in in, because I have been a loyal Tide user pretty much my entire life. I remember my mom trying an alternate brand back when I was a youngster and both my Dad and I broke out in a rash, so it’s been Tide forever. Now that I know I’m exposing myself to toxins, it’s time to try something different… Enter Molly’s Suds! Their mission statement: “Our company uses the purest of ingredients to formulate products without carcinogens or known human toxins. We strive to be good stewards of the Earth and give back to our community and those in need.” Definitely check out their story. It’s inspiring, and a it bit scary. I ordered their laundry detergent and started using it this past week. It’s great knowing that I am not absorbing chemical residue from my clothing, and that my family is safe from toxins on their clothes as well. But as a side benefit, my clothes just seem softer and my towels fluffier. I’m not sure if it’s just my imagination, but I’m pretty excited just the same! In case you are wondering why it’s so important to avoid xenoestrogens, read this article. It gives a great description of xenoestrogens and how they contribute to breast cancer, as well as other cancers. The article also talks about why it’s so important to try to be at a healthy weight. Personally, I know my risks went up when my weight went up, and I paid no attention to what I ate (non-organic, processed crap), or what I put on my skin. I didn’t think about the quality of the water I drank or the risk of taking any kind of prescription medication, including birth control and antibiotics. I used all sorts of toxic cleaning solutions, deodorants with chemicals, and sunscreens that heated chemicals into my skin. To paraphrase Maya Angelou: I know better now, so I do better. Be mindful of what goes into your body. At my appointment, and given my history, my doctor asked if I wanted him to do a biopsy…?!?!? Hell, no!!! I didn’t even have to think about this. Just the shot to numb the area would be unpleasant enough, as he admitted. For some reason, the concern that it was something cancerous was only fleeting, and he seemed pretty confident that it was not cancer — having seen this before, obviously — so I was not ready to jump into the biopsy game. So, wonderful man that he is, he agreed to first treat me with a steroidal cream for 4 weeks, and I have to go back to have it checked. If not better, he will do a biopsy then. Oh yea. The good news is that I am noticing a big difference, so hopefully it’s all better by the time the appointment comes around. I don’t even want to think about a biopsy “there”. I’ve also started using coconut oil and frankincense essential oil to help things along, after reading this article. Quite honestly, I’m inclined to think the frankincense is more responsible for the improvements, rather than the steroid cream. This past week was my quarterly appointment with my naturalist and she saw some things that could definitely be contributing to the lichen schlerosus, as well as to my sleep issues and my reduced energy levels. Here I was thinking it was all stress related, but “lead” came up as a key issue. As in “get the lead out”. We don’t tend to think of all the lead in our environment (from a variety of sources), or heavy metals in general, but they are there, and they are often the little mysteries of why we don’t feel well. The lead can contribute to an overgrowth of yeast, which may then also contribute to the lichen sclerosus. So to detox from the lead, I’ll be taking Milk Thistle; to detox the yeast, I’ll be taking a Cancordistat homeopathic remedy. My estrogen levels were indeed low, so I’ll be adding Red Raspberry Blend to my daily regime of herbal hormones. (For the record, I thought this would taste yummy, but bleh…not so much.) I will also take Thyrodine to strengthen my thyroid after my CT scan from a few weeks ago, L-Lysine to help heal my skin, and Red Beet Root for energy. All of these new things are temporary (one month) until I’m back to normal. As a reminder, if you have any exposure to radiation (airport security, x-rays, etc. ), take an epsom salt and baking soda bath (enough salt to “float” in, and for 20 minutes), to help detox your body and protect your thyroid. I neglected to do this after my last CT scan, but I did it as soon as I got home from my naturalist appointment! A year ago this weekend, I was in sunny California with my friend, Marian, attending one of the McDougall Advance Study weekends. We learned so much in that weekend! We had spectacular weather, 70s and sunny, and for the first time ever, I lost weight at a conference… because the food was SO good and oh so healthy! All our food for the weekend followed the McDougall Plan (starches plus fruits and veggies… no added oil). 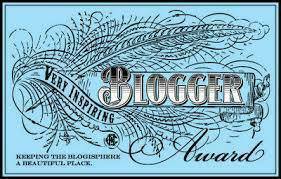 I had grand plans of blogging about everything we learned, but Life threw me a curve ball and I never quite got to everything. So on this anniversary of sorts, I thought I’d share some of the random tidbits, on a variety of topics, that we learned over that weekend…in no particular order. Blood pressure meds do not improve mortality (because the underlying conditions causing the elevated bp still exist). There is no difference in mortality between women who have mammograms and women who do not. Animal protein contributes to heart disease and we’ve known this since 1905. We’ve been blaming the fat, but animal protein is more significant. The #3 killer in the US is actually medicine (adverse Rx reactions, deaths due to medical care, additional illnesses when hospitalized, etc.). You won’t see this listed by the CDC, however. Moderate exercise leads to a 25-50% reduction in sick days. Gargling with warm salt water 30 seconds per day is most effective for preventing upper respiratory tract infections. The USDA won’t call eggs “healthy”… or safe or nutritious. Erectile Dysfunction is a blood flow issue. ED also means “Early Death”. Cancer needs methionine to grow. Chicken and fish are the worse sources; vegan diets restrict methionine. A single serving of cruciferous veggies each day cuts your risk of breast cancer in half. And your recurrence risk drops from 16% to 4%. There’s a direct link between chicken and UTIs. Doesn’t matter how well you cook it. Top 12 diseases we seek medical care for can all be prevented by diet. Our health is in our control… in our feet (exercise), forks (food) and fingers (smoking). “The solution to pollution is dilution.” Always wash your produce. 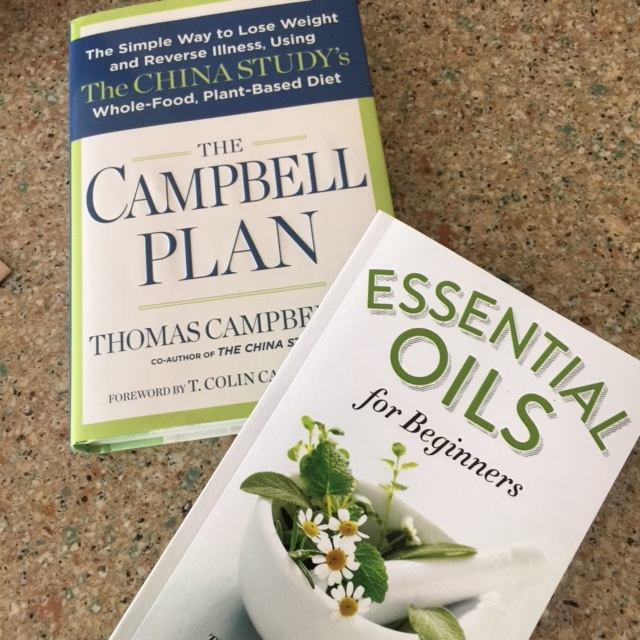 Avoid all oils – they damage the endothelial cells (which contributes to heart disease). Present day cardiology doesn’t cure patients. We spend too much time focusing on individual nutrients (taking supplements, etc.) but it’s more about the countless interactions of all those nutrients in the food. Multi vitamins and other singular vitamins are damaging, and fish oils are worthless. We can expect long term implications of GMOs – They are changing one gene without regard to all the others. For onions and garlic, they are fresher if they have fewer outer layers. The more layers, the older the onion. Don’t eat potatoes with sprouts. Ok to eat onions and garlic with sprouts. 90% of successful weight losers never miss breakfast, and they weigh themselves frequently. There’s only one chronic illness: poor nutrition. What you remove from your diet is important. Nutrition is more important than exercise. Minimize nuts and avocados if trying to lose weight. The Dietary Guidelines are published every 5 years. In 2010, plant based diets were touted. 80% of the antibiotics in the USA are used on animals. Meat consumption doubled in the last century to about 200 pounds annually per person. USDA has a huge conflict of interest. On one hand they set the guidelines for what people should eat. On the other hand, they are responsible for increasing the consumption of meat, dairy and eggs. So how can they tell you “don’t eat meat” when their job is to get you to eat more meat…? All diets work, to some degree. They may all help you lose weight, but it’s because they put your body into ketosis. So you may lose weight in the short term, but in the long term, it’s damaging your body. Read “Meatonomics”… the author, David Simon, spoke and there is just way too much to include here! PubMed.gov is a great place to research any health topic. Tumor marker results were good — yay!!! 16.64 ~ consistent with where I’ve been since my treatment finished. I am typically between 15 & 17 against a “normal” range of 0-37. Always a relief to hear. I previously wrote about the Christmas present I got from my stepdaughter — a Gneiss Spice set with magnetic lids for storing on the refrigerator. 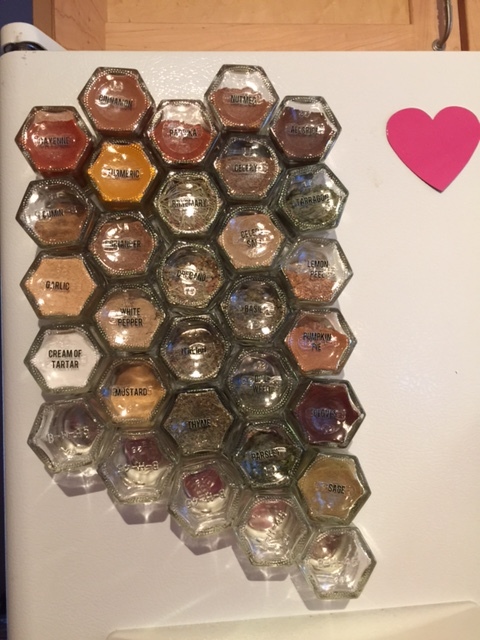 I loved them so much that I ordered a make-your-own set of 24 jars and I spent the morning cleaning out my spice cabinet and transferring spices to my new set of jars. I’m on a roll with organizing since last weekend I purged and organized the kitchen pantry. Still more work to be done, but it feels good to be less cluttered. It drives me crazy when I can’t find what I need. The latest Oh She Glows recipe is Immunity-boosting Tomato Sauce with Mushrooms, served over pasta. I was about to ask the boys if they liked this recipe, but at that time, they were both reaching for their third helping, so the question seemed unnecessary. Ethan did pick out the chunks of tomatoes, but otherwise, everyone enjoyed this. We all love mushrooms and haven’t found a mushroom recipe yet that we didn’t like. I look forward to trying a few more of Angela’s recipes in the coming week. It’s a super busy week and I’m looking to try a few of her quicker recipes, like the 15-minute creamy avocado pasta. 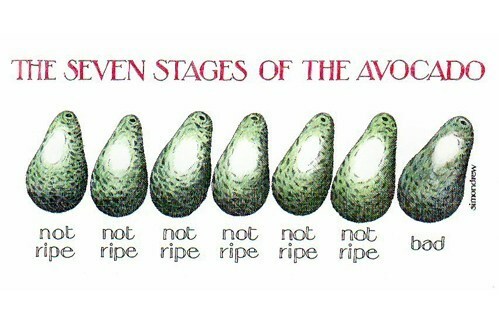 That one is contingent on finding avocados that are the right ripeness! Because we all know the window of opportunity is about two minutes long!